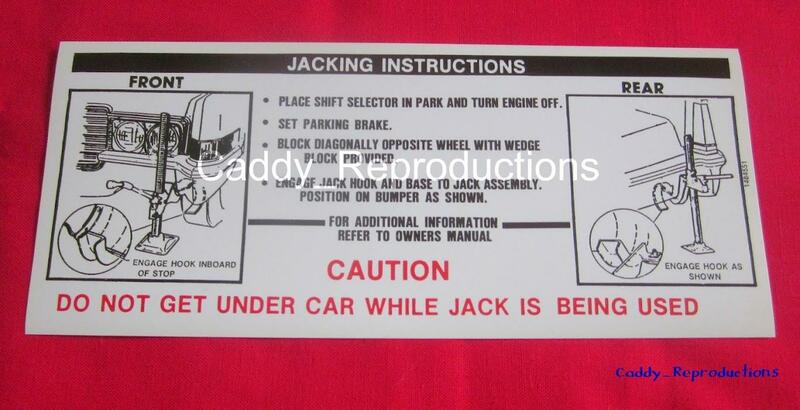 ~~Here is a New Copy of a 1969 Cadillac Jack Instruction Sheet / Tag/ Decal. Replace that Missing or Torn Instruction Sheet. Nice Copy on Cardboard, as it originally was. This is a peel & stick decal.